This is a continuation and update regarding my attempts to purchase soundsets from the Playkeyz website. I’m going to tell the story and you can make your own minds up about the situation. Please click the Order button below. . You will be taken to Paypal’s site. Once you complete your order, you will receive an email with your files. The files on the email can be loaded into your synth using USB jump drive (not included). I placed the order and waited for the email with the soundset. There was no indication on the site as to how long it would be to receive the emai/files. After not receiving anything I emailed and left a phone message with the seller, nothing rude, but politely asking when I might expect delivery. I got no response. After more than 24 hours since plcing the order, I filed a dispute with PayPal for non-receipt of goods. Not long after that I received an email from Playkeyz with the files attached. I closed the Paypal dispute and went back to email to retrieve the files. They were the wrong soundset; I had ordered vol 2 for XF, the seller sent volume 1. I contacted Playkeyz via email to try & resolve the issue. 1) He could trust me to not use Volume 1, and send Volume 2. 2) I would keep Volume 1 and asked for Volume 2 for a discounted price ($30). I got no response to my messages. I decided to keep Volume 1 and attempt to re-purchase Volume 2 at full price. I placed the order and included specific instructions explaining that he had previously sent the wrong soundset, and to PLEASE make sure to send Volume 2 for XF......No response, no files. After 36 hours, I filed another dispute with paypal. Shortly after that, the files arrived,and AGAIN, they were the wrong soundset - volume 1. This time I called Paypal and changed the dispute to “not as described/wrong item sent”. That’s where we are now; I have a soundset that I didn’t order (actually 2 copies! ), I’m out $40 (for the time being), and I’m a bit frustrated. The communication was one-way - me to him. So I guess my questions are - Am I being unreasonable in my expectation that this tranaction should be completed in a timely manner? Should I receive the product that I actually ordered? Should I expect some kind of communication from the seller when I inquire about the order? Nothing more easy, don’t close the “case” with PayPal and request your money back. Sure, your get it back without any problems. [...]What would you do in this situation? Call a lawyer ... oh, wait, Mofit/Rick is a lawyer. Hopefully this is a simple misunderstanding. I’d try contacting him directly. EDIT: The above information is as of the date of the post. Anyone reading this after that date should assume that the above may no longer be accurate. No, I don’t think you are being unreasonable. But I wouldn’t have ordered a second time from them. If they wouldn’t make good on the first order,I would have told them that I was going to ask for a refund through Paypal. And let them know that I was going to post their name up on this forum, on korg, roland, musicplayer, and any other forum I could think of to let other musicians know not to do business with them. Thanks for sharing. I hope everything works out for you. Well, I got the correct soundset in my email either last night or this morning. I closed the dispute after I loaded the files & everything was as described. I don’t know, really, what the issue was on Playkeyz’ end of the deal, and I don’t want to vilify anyone there by posting this thread. We all get busy in our real-world lives, and hopping on the computer can take last priority sometimes. I loaded the soundsets and they sound good, so the product is decent; you may want to consider purchasing them from the Motifator shop to avoid a similar complication. Did you buy them from Playkeyz or from Keyfax? I recall when I got these libraries, I tried to contact the guy at Playkeyz but never heard back. I did get someone from Keyfax on the phone who was helpful. They didn’t answer emails either, btw. Hey, all, sorry for the delays in orders and finding this thread. I indeed do work full-time, and I mention this only because unfortunately I end up traveling much more than I would like. I believed the paypal receipt was set up to automatically inform buyers that I would have to email the files personally - no auto-download - but I could be mistaken. I should make it clear that sometimes I get a bit behind in things. Before I saw this thread, I sent the correct file and did not ask Apico to pay for the incorrect set (nor would I ever) or return or destroy any files. Yours to keep, my mistake! Sorry again, and hope you enjoy the sounds! I bought both Vol 1 & Vol II late last year, and unless anything has changed, I don’t recall anything in the Paypal receipts indicating that you would have to send the files personally. When they didn’t show up immediately, I just figured this was the case and waited. Sure enough, the files showed up a day or two later. Just an FYI, you may want to double check that, as I can see how it would be confusing. there’s an important question! I liked those sets, though I only use a small number of them. It’be nice to see some sets for newer decades someday. Just FYI, the Paypal email was just a atraight receipt, no info on delivery. So now that we have tha all cleared up, let me say that i don’t mind having purchased both soundsets. They’re very good and will give me much to work with. Just for future purposes, you may want to clarify on your site that you send the files “manually” as opposed to an auto-send. It may save some people some worry when ordering. 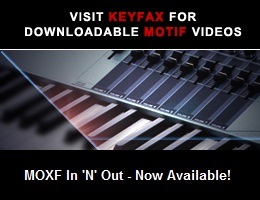 All of the Voices are also available at motifator.com, and they are delivered immediately 24x7. I sent the company several messages with no response. While my transaction was quick and smooth, I also never got documentation for one of the sound sets as stated in the email from PayPal(Missing PDF for soundset 1). I send inquiries reluctantly made my purchase and still had no response to any of my emails. While I will say the sound sets are great, little dismayed at the response. While it would not keep me from purchasing from them again if another set was released, would be a little weary on it. I purchased the “80s Pop-Rock Soundset Volume 1” yesterday (Sunday) but didn’t get any information; however, by this morning, Rick sent me the file. I must say the sounds are amazingly accurate. I am quite excited to get my band to play some of the 80s songs that I can now reproduce!